Majestic exteriors and maintenance-free exteriors are rarely the same thing. But we’ve succeeded. 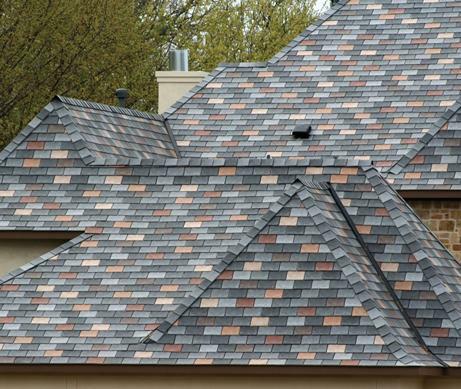 InSpire Roofing gives you the handsome, true look of authentic slate and cedar roofing with unsurpassed, worry-free performance. Such wood and stone roofing has historically commanded a great investment in both installation and ongoing maintenance cost. 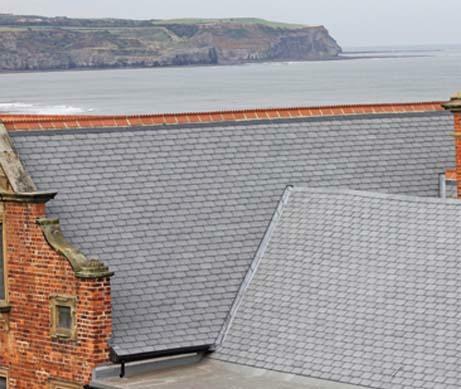 Our InSpire Slate weighs less than a third of the weight of natural slate. It requires significantly less framing and no slate-specialized labor. It’s also completely less fragile, with a Class 4 impact rating and 110 mph wind uplift rating. InSpire also allays the fear that can come with a gorgeous cedar roof. Our InSpire Cedar Shake roofing system delivers Class A fire protection, and never needs the intense upkeep or harsh chemical treatments that wood requires. 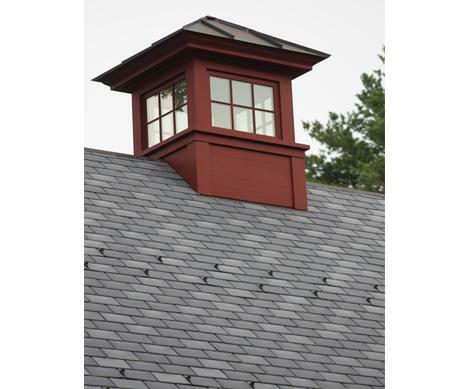 All of our picturesque roofing is certified for durable performance and carries the peace of mind of a limited lifetime warranty. If the roof is a canvas, then InSpire is the artist’s choice. Explore the world of difference that InSpire’s character can make for your discerning home.